The Creative Incubator initiative has partnered with the organizers of Ladyfest Dayton and Downtown Dayton Holdings, LLC to host the first Ladyfest Dayton music and arts festival Sept. 12-14. The event will be held at 20 N. Jefferson St. in downtown Dayton, and will be the first official community event held in this first floor space. 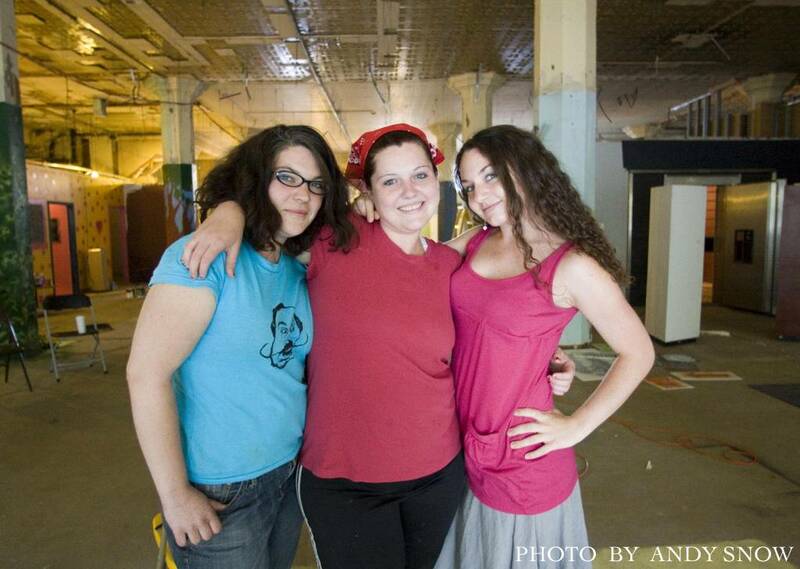 Ladyfest Dayton will be a highlighted event at Urban Nights and will continue throughout the weekend with live music from local and out of town bands, visual arts displays, workshops, dance and other performance art events occurring throughout the weekend. Please contact catalysts Anne Rasmussen at arasmussen@woh.rr.com or Kate Ervin at kate.ervin@cityofdayton.org to donate! Many of the artists and organizers of Ladyfest Dayton have been working diligently for weeks getting 20 N. Jefferson St. ready. With grace and determination, they are transforming a very vacant space into a dynamic, albeit temporary, art and music venue. The Ladyfest women had been searching for months for an appropriate space, when Scott Soifer, a local drummer and Creative Incubator committee member, saw their need and recognized the fit. 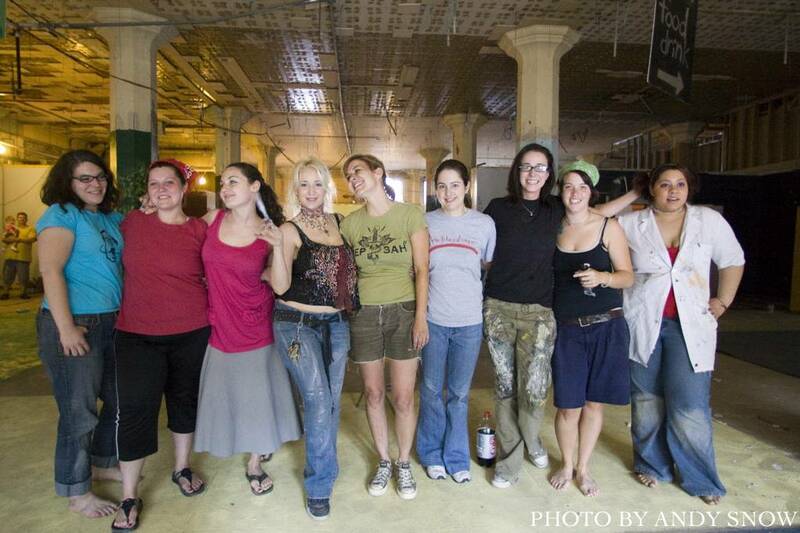 The first ever Ladyfest was conducted in Olympia, Washington in August 2000 with over 2000 people attending. Prime motivators in the event were Sarah Dougher, Sleater-Kinney, Cat Power, Neko Case, and Teresa Carmody. Since the first Ladyfest, the event has branched out into other urban centers such as Amsterdam, Atlanta, Belgium, Berlin, Birmingham, Brighton, Bristol, Brooklyn, Cambridge, Columbus, Chicago, Cardiff, Dublin, Glasgow, Lansing, London, Los Angeles, Madrid, Melbourne, Orlando, Ottawa, Philadelphia, San Francisco, San Diego, Sevilla, Toronto, Washington DC, and more. Each new festival is organized locally and independently of other Ladyfest events in other states or countries, primarily by volunteers, and most proceeds are donated to non-profit organizations. This entry was posted on Thursday, August 21st, 2008 at 10:39 am	and is filed under Creative Incubator. You can follow any responses to this entry through the RSS 2.0 feed. I met a couple of the young women working on LadyFest and I am so impressed with their commitment to making this happen! They are exactly the kind of Dayton Originals this region needs! Let’s do all we can to lend our support to this effort! Thanks, Lisa! Yes, they’re pretty impressive, and seeing the energy going into it is almost magical! I met a woman last night with a great new women’s fitness center – she’s just starting out and she really wants to get involved in the community. How can I get her in touch with Jen or anyone at LadyFest?